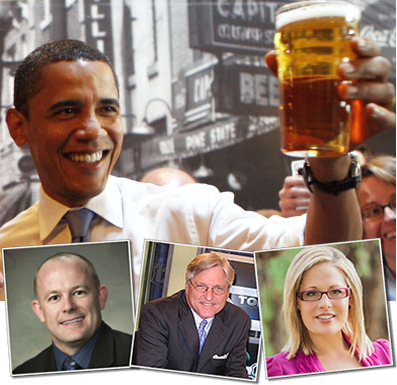 Join your fellow D26 Democrats, Rep. Ed Ableser, Andrew Sherwood, Juan Mendez, Democratic candidates from neighboring districts, and special guests Fred DuVal, House Minority Leader Rep. Chad Campbell, and CD9 Democratic candidate, Kyrsten Sinema for our third annual beer tasting contest! There will be other contests, and yard games like a bocce ball tournament and bean bags. Beer tasting, bean bags, and Bocce Ball contests, with awards from Changing Hands Bookstore, La Bocca, Canteen & Handlebar restaurants. Brats (vegan ones too!) and pastries from HoneyMoon Sweets Bakery. Where: The Barnes House - 1104 S Ash, Tempe. Cost: $26, or buy your ticket online for only $20! RSVP: Online at a reduced price, or on Facebook, or email D26Dems@gmail.com.